Two to four UNL Drillers will deploy to prepare remaining container for science traverse. Science team deploys to MCM (McMurdo Station) for equipment staging and preparation for field work. Science traverse fleet and SPoT (South Pole Traverse) to move the remaining traverse modules and components to a location along the SPoT route. Remaining eight drill staff will deploy to conduct drilling activities at the SALSA field camp. Science team deploys to SALSA Field Camp and conduct scientific operations sample collection and testing. Science team, samples, and equipment are returned to MCM. Construction crew deploys to SLM to break down the drill camp. UNL drill team and ASC prepare drill, laboratories, and traverse modules for return to Camp 20. The science traverse fleet will shuttle all modules and components to Camp 20 and berm what cannot be brought to MCM in 2017-18 for retrograde in 2018-19. All SALSA field teams redeploy to the US at the end of January. 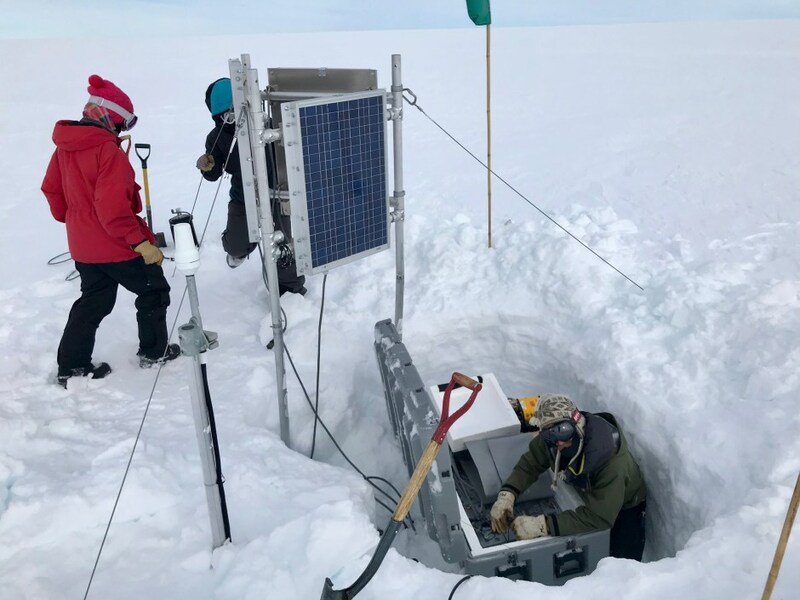 One science participant and one UNAVCO (University NAVstar Consortium) engineer will work from a staffed field camp to retrieve the GPS stations from the Whillans Ice Plain. Four to five participants of the UNL drill team will deploy to prepare drill components for northbound shipping by a USAP (United States Antarctic Program) vessel. Retrograde of drill and traverse modules from Camp 20 using SPoT or the science traverse fleet (to be determined at later date).